This photo was taken by Geologist Wayne Ranney of Flagstaff Arizona driving through the Rajasthani Desert on his way back from Jodhpur. He has a blog mostly dealing with Geology, though I'm ever so glad he took this shot as it has a number of important illustration and teaching feature visuals. By all means visit his incredible blog and that of another incredible Geologist who has a great ability to teach layman the complicated facts in easy to understand terminology. - Dr Jack Share. Geodermatophilia - "Tiny forests in the Utah desert"
It gives a great illustration of how and why such microbiological organisms would be to a restoration site. This is clearly a new field to most folks, especially in the area of practical applications. But if you paid attention to that video, then you understood the importance of these bio-crusts to bind desert soils together which would be ideal between your tree plantings as in a Dune Project. Take a good healthy look at the Acacia Tree covered sand dune above. The only thing you truly see and observe is the picturesque treescape itself, yet no consideration to the biological networking activity going on underneath the ground. Even the SDSU Mesquite Dune Project had problems with the Dunes they created blowing away. Anyone who has ever been there at that wintery/spring time of year knows how fierce those western winds out of the mountains from the Pacific Ocean can be. There may be a problem solver in the way of commercially developed Soil Biological Crust spray applications from that company in Texas called TerraDerm. The overall idea is to spread as many of the Bio-Crustal Spores over a wide area as possible to allow germination of the cyanobacteria to pioneer the way for algae, fungus, lichens to germinate creating a crustal surface which will hold the soil in place allow much larger succession of plants can get a foothold to take over the ecosystem creating a new forest. Here's an illustration which gives you an animated visual of the various steps to creating this miniature forest for Sand Dune stabilization. Pellets are water soluable allowing release of bacteria to prepare soil for a succession of algae, fungus and lichens to germinate creating a rugged crustal surface for other plants to germinate. These crustal symbiotic associations will continually break down soil elements making them available to plants and along with the rugged surface to slow down water movement and allow a measure of penetration deep into the soil itself which benefits your desert plantings. Imagine the tree on the animation is a Mesquite Tree in the Sonoran Desert or Acacia Tree on the African Savanna. These are foundational trees which will drive and maintain an ecosystem to life. Remember also these mechanisms by which recent research has proven that such DEEP ROOTED trees have a higher ability to discharge electrical current and aerosols into the air aiding in cloud formation and eventual rainfall, but ONLY if they can connect to healthy subterranean aquifers and the electrical conductivity of Earth's deeper underground. 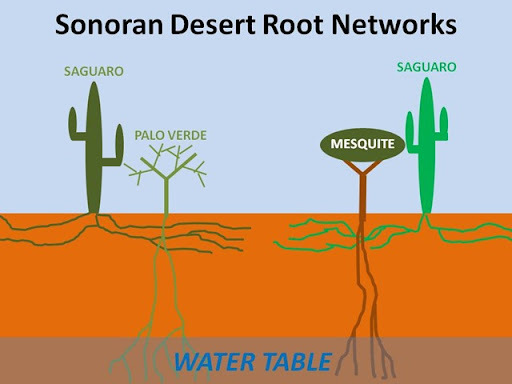 As the Acacias, Mesquite, Paloverde, Ironwood trees, etc reach maturity, then the mechanisms of Hydraulic descent can ALSO kick in and take over sucking as much surface soil water as possible after rainfall and pumping it deep into the earth to later be utilized through Hydraulic lift and redistribution as needed. 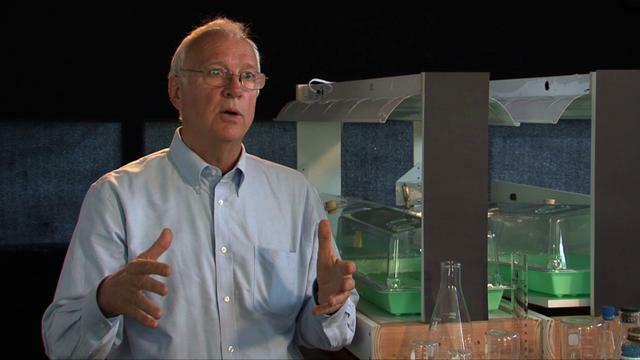 If there are times of heavy seasonal rainfalls, then such mechanisms may even restore a measure of Aquifir water table levels previously lost (Human Agricultural Activities), raising those levels to better serve the environment and even humankind if they are able to utilize such resources responsibly. This is the healthy process that should be your goal in any productive restoration project. This is the goal, to create a rugged tough surface from sand or other soft desert soils into a rugged pattern to slow down any rainfall event which comes along to better percolate water into deeper layers of the soil. Yes desert storms can be tough & intense, but this now present biocrustal soil ecosystem is a far better improvement over the previous barren destructive surface you are attempting to reverse. Think in terms of a deep Engineering Project as opposed to a mere surface terrestrial Gardening idea. In other words think long term future!Much of the desert plants around the world themselves are actually having a tough time with the climate change as well. Much of this of course is caused by various forms of deforestation being promoted throughout the Earth plus the rapid depletion of water in deep Aquifirs where what is called Fossil Water is being drain for irresponsible Agricultural irrigation practices and use for major world cities municipal needs. As these levels lower, even many of the deep rooted foundation trees will suffer, preventing the mechanisms of Hydraulics (lift - redistribution - descent) to fail completely hurting other plant life in their respective community. This also stops the cloud formation mechanisms (already referenced here) and more importantly normal rainfall patterns. Rebuilding this system again and restoring these networks and learning how to use these plant instincts for you instead of using them against themselves takes a total 360 turn around in the thinking on the part of this world's leadership (Politicians, Big-Biz, Scientists, Average Joe/Jane etc). Given the past historical patterns of failed leadership of this world (and I could care less whose ideologically flavoured Political Party) , most likely this won't happen unless forced to as always. Sadly more often than not, it's usually to late. So this info is mostly for those who actually give a rat's backside and want to benefit from practical application through their own landscape, garden, farm, Guerrilla Habitat Restoration or conventional restoration, whatever!!! Sometimes depending on soil geology they may fail or simply take longer finding those open soil fractures to drive deeper. Take this illustration here to the left. It animates what is called Hard Pan which is a dense compact layer of soil which is almost like condense compacted concrete or rammed Earth for which water movement and even root penetration is almost ZERO. Water drainage is a big problem. The illustration shows where drilling or some other break through may be necessary to create a favourable change to this type of soil dynamics. This is exactly the kind of soil problems found around San Diego areas on the Mesas like Kearny Mesa, Miramar and Sierra Mesa where hard pan is common. These communities are basically all on the same table lands and have almost identical sub-soil issues. It is some of these features which allow for Vernal Pool development in nature to work. We (the Property Management Co I worked for) had an apartment complex where we needed to make some underground plumbing system changes. The hard pan was just below the surface at about 5 foot deep with the hard pan itself being a foot to foot and a half thick. It literally is as tough as concrete and the porosity just as bad. We had to use Jack Hammer and to punch holes through and once opened up a backhoe took care of the rest. Soil below that is well draining. Prior to Human building of the area, native vegetation for the most part was never trees, just low Coastal Chaparral scrub. 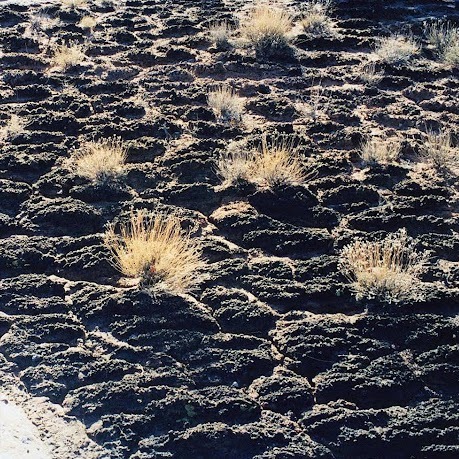 Many deserts have this feature of an Alkali Hard Pan a meter or more under the soil, Texas has areas such as this. Australia and Africa are others. Good indications can often be seen by what plants naturally occur there. Don't look at it as a negative. Change your viewpoint and consider it an incredible challenge to make a difference. While there may be an element of mechanical fracturing and added expense, biological components for the most part will do the rest. When I lived up in the San Jacinto Mountains, many folks never considered their geology when purchasing their prized 180 degree view property. They often were given the sad news when applying for Septic Tank permits from Riverside County which demanded what is called a Perc-Test (rate at which water percolates into the soil). Several areas will be backhoed with trenching in the area you want your leach field. Water is then filled into the trenches and it's a waiting game to see how long it takes to saturate into the soil. Sometimes it never will, which indicates a problem for any future leach field. So if you have a nice permanent pond, you're in trouble. 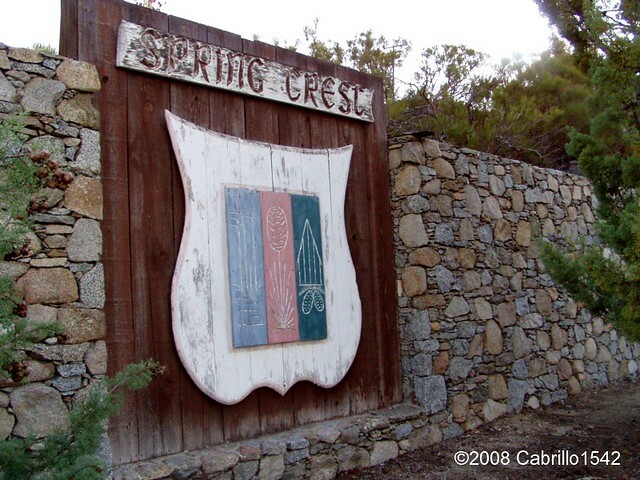 I know of one such property in the Spring Crest area of Santa Rosa Mountains above Palm Springs CA. The underlying ground material was hard granite bedrock. It didn't perc well. Negative Perc-Test, no House Building Permits. Solution often used there were to drill numerous deep narrow holes over a given area and load these holes with just explosive charge enough to fracture the granite bedrock underneath to allow water percolation. But hey, that may be an option for some Habitat improvement. Thereafter trees roots and proper microbiological material properly injected into the earth should take over from there. The above link has a great article on root structure couple with microbial interactions and climate change. To restate, it was once believed that only those perfect sandy loam soils could facilitate rapid successful movement of deep taproots into deeper layers of soils. Of course this thinking could never explain why giant old growth forest trees are capable of existing without such a formidable anchor. Botanists simply did not believe the roots could drill their way through compacted clay hard pans, terrible rocky mineral soils devoid of much organic matter or even extremely hard granite or other bedrock material. 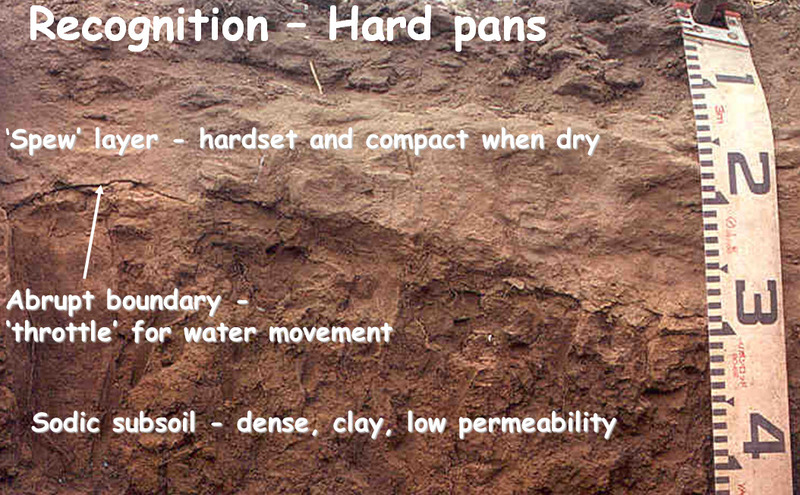 But later research proves that plant roots can penetrate these types of soil structures. 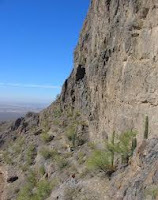 We even have some examples of Foothill Paloverde in Arizona which colonize tough rocky layers of Earth with little soil to speak of. Clearly further research and study of such amazing drilling mechanisms and specialized abilities of such plants will be of benefit. 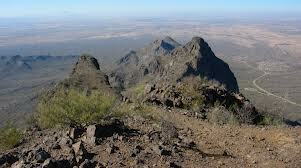 How does Foothill Palo Verde or even Catclaw Acacia which are trees known for drilling deep taproots, actually bore holes through solid rock as in this picture to the right here of Picacho Peak which is a famous often seen Arizona landmark along side Interstate 10 ? This is generally the halfway point between Tucson and Casa Grande. The are other examples everywhere in the park of Arizona, but this is the easiest to point out. Clearly anything is possible! Seriously, even here on the top of the Peak with less than ideal soil. No Sandy alluvial flood plains here. What some plants are able to accomplish is amazing. The roots of the Tillage Radish are able to bore through this hardpan layer and reach depths of 1.2 meters. 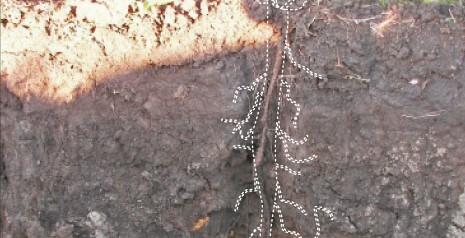 This soil profile photo was taken exactly one year after the crop was planted, yet the roots are still serving as a conduit for water penetration as shown in the area outlined in white in the photo. If a lowly radish can accomplish this, would would a hardy tough rugged desert tree like Mesquite, Ironwood, Palo Verde or Acacia to accomplish ? Another beautiful illustration of the spiraling drilling mechanism of a taproot comes from a company which sells Tillage Radish seed to farmers as a cover crop which not only opens up deep layers of subsoils, but also acts as a cover crop to prevent weeds before planting corn next season. But lets focus on the spiraled twisting nature which is also found in the top growth of any plants. One has to wonder if a measure of water is injected into the ground by the Mesquite or Acacia tree taproots ahead of the root cap to facilitate opening of tight soil particles. So Hydraulic descent may even start very early in the plants life rather than later. 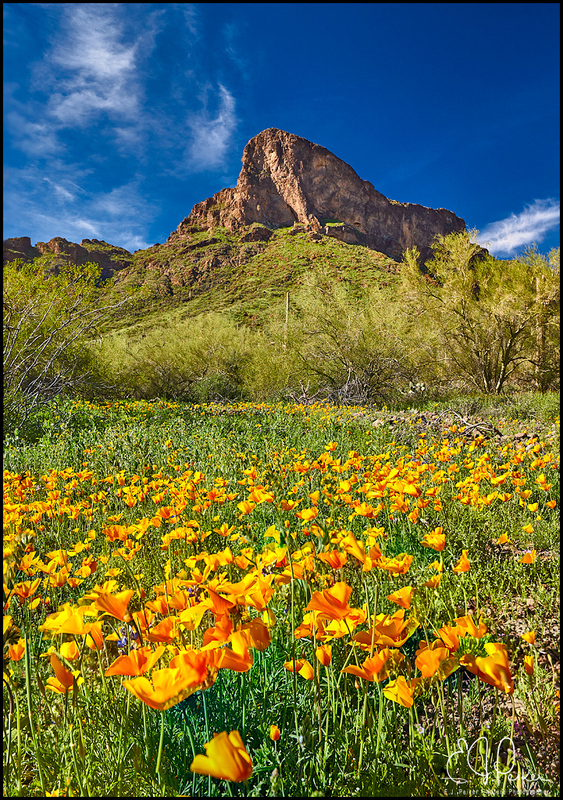 One can only imagine and speculate since in most desert ecosystems, rainfall is often less than 3 inches. Germination takes place, seed drives spiraling root shaft quickly into a foot or so of moist soil layers from present rainy season at best, then power drills through nothing but dry layers of Earth's subsoils thereafter before hitting the actual water table below. Once again science has discovered and illustrated the mechanism by which such amazing engineering feats in nature are possible. But do you have the insight to replicate such engineering into your landscape or Habitat Restoration blueprint ? 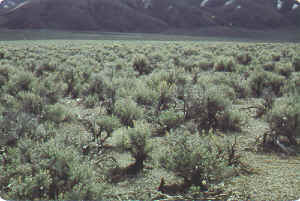 This study involving research on the water hydraulic lifting , redistribution and descent abilities of the lowly High Desert Silver Sagebrush found in the state of Utah or Nevada. And never discount the ability of what looks to be nothing more than a dull mundane low growing shrub like the Silver Sagebrush above which has amazing Hydraulic Lift and redistribution abilities which actually support a healthy plant community, though you may not wish to view it that way. Trees, and even more specifically forests, have been shown to be critical for regulating climate and creating cooler microclimates, for building soils and therefore the water retentive capacity of the land (acting like a giant sponge that releases water slowly), for reducing erosion and its resultant siltation of waterways, for reducing salination, for creating wildlife corridors, for acting as windbreaks, for supplying humanity with both timber and non-timber products, for cleansing water and for creating the air that we breathe. Start Getting A Clue. The Earth has very little time left !!! Biological Soil Crusts: What Are They and Why Should I Care ? Biological Soil Crusts: Boreal & Temperate Forests ??? ?